Biometrics is becoming a key feature in smartphones and fingerprint sensor capable smartphone shipments are estimated to cross a billion units next year. 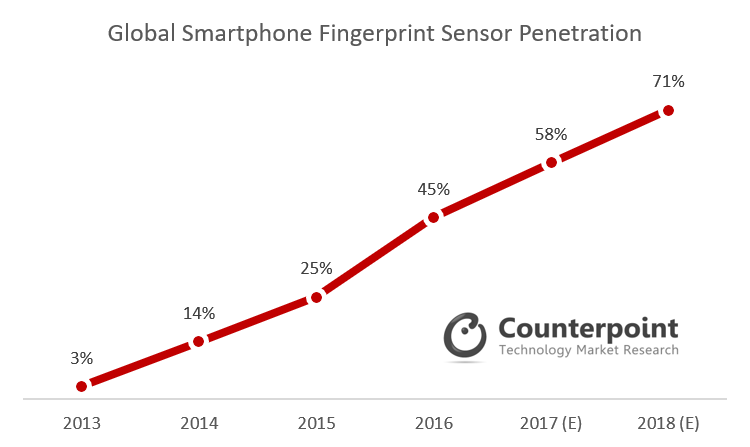 According to the latest research from Counterpoint Research, more than one billion fingerprint sensor enabled smartphones will be shipped in 2018. The fingerprint sensor is likely to become the standard choice for smartphone OEMs to provide for authentication. This is driven by a rapid rise in services such as digital payments, mobile banking and the commensurate increase in the need to be able to authenticate the user securely. Exhibit 1: Global Smartphone Fingerprint Sensor Penetration. Exhibit 2: Smartphone Fingerprint Sensor Penetration and share by OEMs in CY2017Q2. The comprehensive and in-depth Smartphone Fingerprint Sensor Report CY2017Q2 is available for subscribing clients (here). Please feel free to contact us at [email protected] for further questions regarding our in-depth latest research, insights or press enquiries. 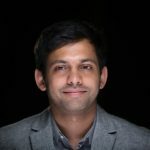 Parv is a Research Analyst with 3.5+ years of experience in the Mobile industry. He is actively tracking 5G Mobile technology and is passionate about emerging technologies and their impact on end users. Parv has a Bachelor of Engineering degree in Electronics and Communication from the University of Jammu.